Whether at home or out in the real world, our lives are dominated by information. We scour through blogs, tweets and links to find that bit of knowledge that will help us in our work or personal lives. We are thirsty for knowledge and yet have little time to sort out the news from the noise. 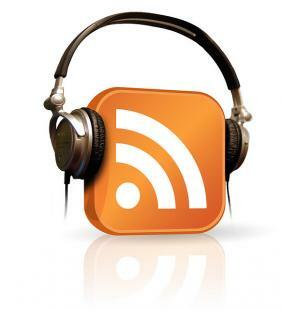 Podcasts are a great resource for information not only for their mobility, but also as aggregators. Many programs focus their content on discussing the popular topics of the day, allowing listeners to get the necessary information to stay up-to-date. Others take deep dives into topics, so you can continue your professional development during your commute, while working out or walking the dog. Looking for a few recommendations to get started? We have hand-picked 5 completely free podcasts designed to give you and your business a definitive edge. Enlightening and captivating stories that illustrate our economy in a new light. All explained by industry experts, first-person interviews, and of course, the adept planet money team. Some topics covered include: Is it illegal to sell your old MP3’s and private equity explained. You can listen on the site or download to your device. Their mission is simple: to help you navigate the constantly changing social media jungle. But the topic can be painfully difficult. Learn from various industry experts about new trends, tips, and tricks. A few past topics include: 5 ways to generate leads on Linkedin, how to use twitter for business, and Facebook pages for businesses explained. You can listen on the site or subscribe via various media channels. This podcast is both educational and amusing, as well as is consistently ranked as iTunes top business podcast. Weekly discussion focuses on top business and investing stories, such as stocks on the radar and interviews with CEO’s. You can listen on their site or subscibe via iTunes. This podcast provides an informative balanced analysis on global issues. Content focuses on upcoming news stories, country coverage and in-depth analysis of specific topics. You can subscribe to The Economist podcast via iTunes. If you’re looking to expand your horizons, the Harvard Business Review podcast combines business, management and sociology experts to discuss breakthrough ideas in the sector. Sample segments include: Pricing strategies people love, the science of sharing, and secrets to effective motivation. You can subscribe to HBR IdeaCast via iTunes.